Home - Little Angels Nursery! 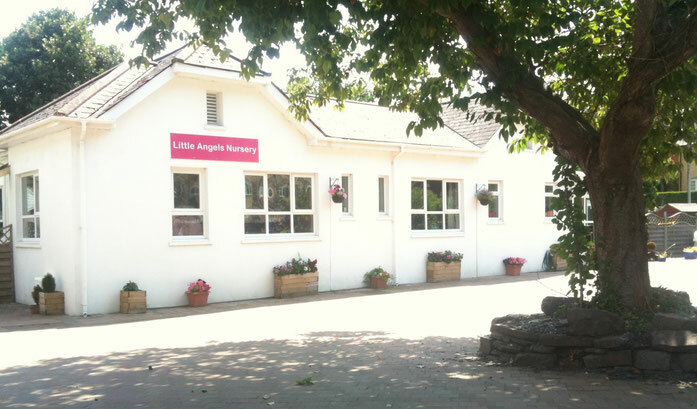 Our staff welcome you to Little Angels Nursery. We provide quality childcare in a bilingual setting by nurturing and encouraging all our children to develop into happy, confident and fulfilled individuals through a combination of play and learning. We have a friendly and experienced team of staff to support your child to play and learn with fun activities indoors and outdoors. The setting is a spacious, light and safe nursery environment filled with a warm and caring atmosphere through open planned rooms. Arrange a visit and have a look around. Speak to Sarah our Manager to view the nursery and see how Little Angels can help care for your child. We are located close to Aberystwyth University, the National library of Wales and Bronglais hospital with a longstanding reputation for offering the highest quality of childcare in the Area. Arrange a visit with us and take a look around. Call us, e-mail or send a message from our website. We are a small nursery which means we really can work together with our parents, to provide the best personal and individual care for your child. We invite all parents, to see for yourself, the spacious, light and safe environment we have, filled with a warm and caring atmosphere flowing through it; meet our happy and stimulated children; our friendly and caring staff and see the range of indoor and outdoor activities available. Choosing the right nursery for your child can be an emotional decision. Here at Little Angels Nursery, we understand what is important to both parents and your children. We pride ourselves in providing a very high quality service, within a loving and safe environment, so you can feel confident and happy that your most precious little bundles of joy are safe and secure during the day. We are regulated by the CIW and we meet the National Standards for safety, staffing, hygiene and care, required under the Children Act. If you would like to see our latest inspection report please go to www.cssiw.wales.gov.uk and click on the link to ‘find a care service or inspection report’.